Kate von Schledorn, or commonly known as Kate Von, grew up in a traditional family in Milwaukee, Wisconsin. 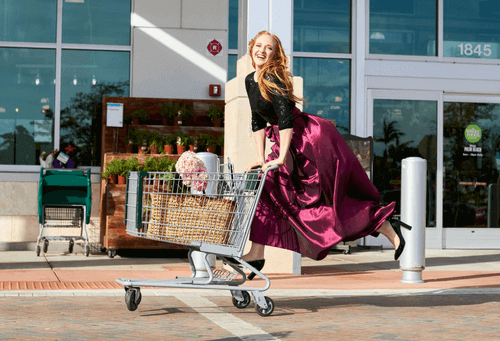 She has been recognized by her entertaining performances on the Food Network, has been quoted on her expertise in numerous publications and is currently launching her new brand, Kate’s Choice! Kate was homeschooled as a child, learning LIFE skills that took her beyond books- and eventually around the globe! Over the past decade, Kate has partnered with some of Hollywoods biggest celebrities, high powered business people, politicians, and icons. Kate shares healthier cooking methods, she inspires a lifestyle of sustainability, teaches daily rituals and guides others into mindfulness- ultimately, creating a life to love! As a young person, Kate developed food sensitivities to wheat, gluten, dairy, oats, and sugar. This is what cultivated her interest in why certain foods made her feel sick and how food choices were impacting her overall health. Kate learned how to cook from scratch, using fresh ingredients, and vegetables that were grown in her Dads garden. She read books on healthier alternatives to everyone’s favorite foods, like making chocolate pudding out of avocados. Over the past decade, Kate has studied holistic nutrition in depth, and her career has succeeded by sharing what has helped her heal. 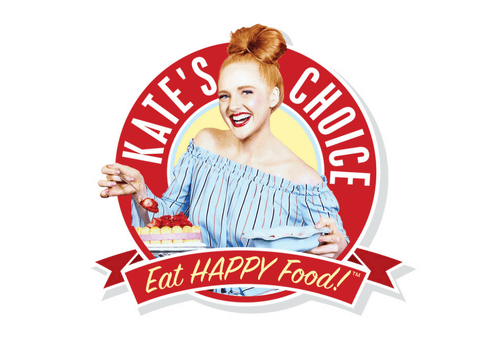 As a “Food Guru”, Kate has seen the need in our culture for healthy fast food and has collaborated to develop delicious products that will enhance the lives of everyone. Kate believes that all people need nutrient-dense foods that are accessible for on-the-go lifestyles. Kate Von is one-of-a-kind! Learn how to change your habits in a FUN way- energize your life by eating HAPPY food! The Huffington Post interviewed her and wrote about Kate as, “a refreshing blast, filled with laughter, fun, and authenticity.” She adds VALUE to people’s lives, by educating on WHAT choices need to be made to improve energy, balance the brain and HOW to achieve happiness. Kate’s message inspires all, she finds humor in topics that everyone is curious about. Kate’s dream is to reach and help as many people as she can to inspire a happy existence, through a conscious lifestyle, and she genuinely means it- from her heart! Kate sees the cultural crisis in American people as an imbalance and she provides solutions. She has worked with cancer patients, kid food allergies, obesity, brain hyperactivity (ADHD), eating disorders, detoxification, diabetes, heart disease, chronic fatigue, menopause, prenatal,post-natal, and much, much more! Kate creates positivity and shares her story to motivate people into action! She knows from her vast work with private clients that food and lifestyle practices are the fundamental elements of creating success on every level. Contact Kate today and receive a free 30-minute consultation!